“I am here today because the prime ministers of my country are in Turkey. The people of Australia and New Zealand are very sincere and mindful. 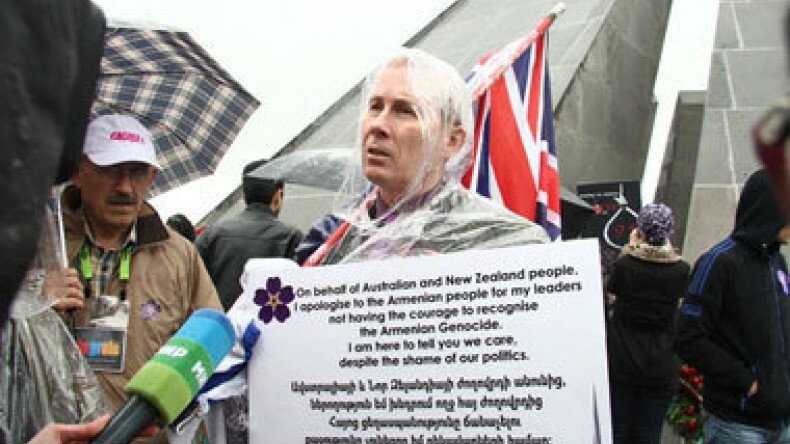 I am here so that the Armenian nation knows about that, that we are with you and that we are ashamed,” a citizen of Australia and New Zealand Len Wick told the correspondent of Panorama.am at Tsitsernakaberd monument as he had visited Armenia to pay tribute to the 1.5 million victims of the Armenian Genocide. Len Wick added that he has written a book dedicated to Armenia and he intended to shoot a film on that book to tell the world who the Armenians are and what history they have.